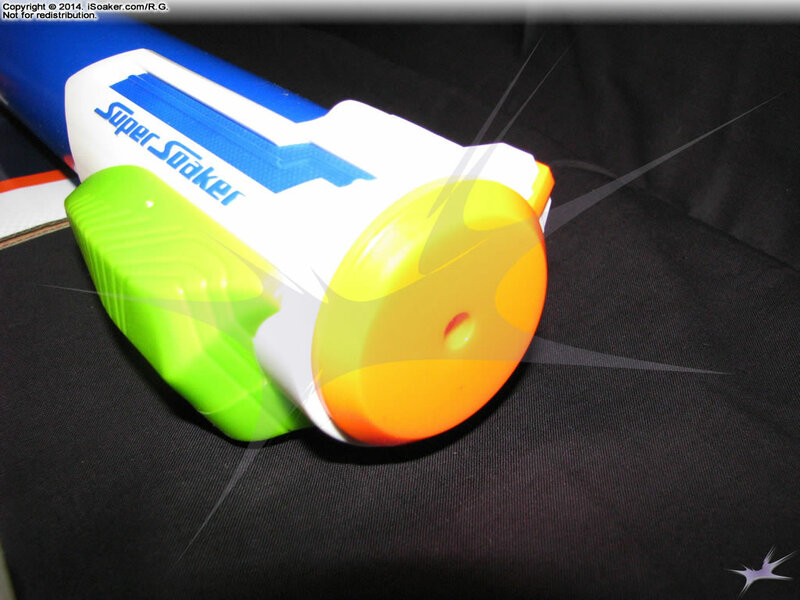 The Nerf Super Soaker Soaker Booster is a novelty item in the Nerf Super Soaker brand akin to the Nerf Super Soaker Soaker Burst device that was included in older items such as the Nerf Super Soaker Battle Shield and Nerf Super Soaker Assault Bunker. This item is a little larger than two average tennis balls and, at first glance, appears to be a snub-nosed football-shaped object. Upon closer inspection, one will see that this foam device has eight (8) holes drilled into it. 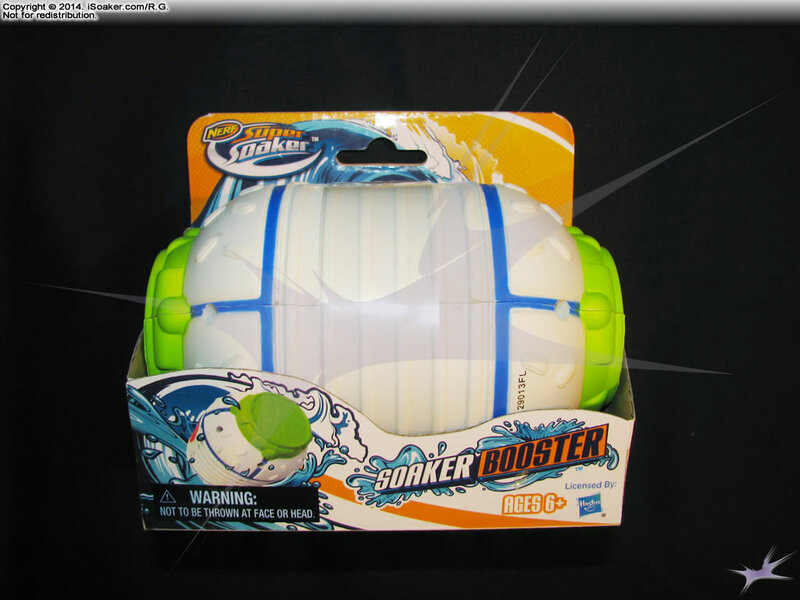 Like the Nerf Super Soaker Soaker Burst, the Nerf Super Soaker Booster is supposed to act as a sort of reuseable water-balloon-type device. It is meant to be dunked into water to fill, the hurled at one's desired target. The material the Soaker Booster is made of does not appear to be able to absorb or dispense much water, itself, thus its water retaining and dispensing capability relies primarily on its distribution of holes. As these holes are permanently open, they will dribble out water if the Soaker Booster is placed on dry ground. 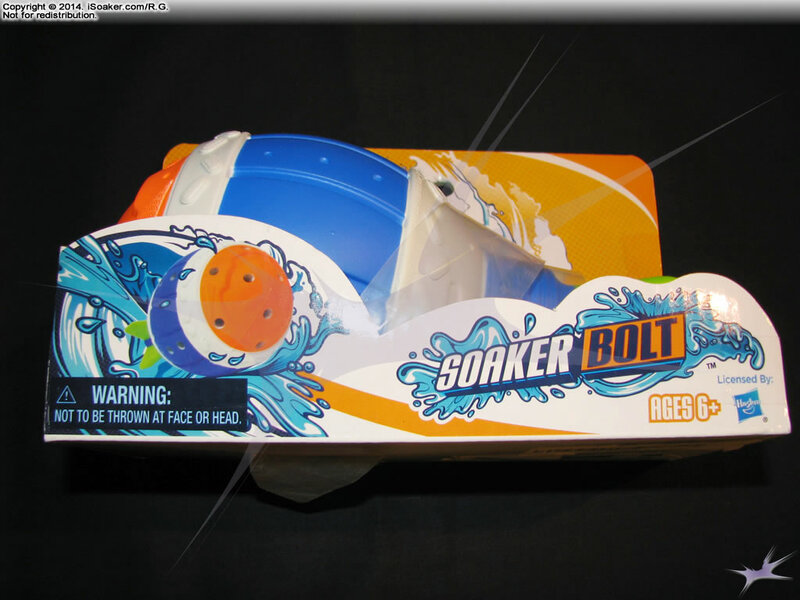 As a whole, the Nerf Super Soaker Soaker Booster is a novelty soaking device with limited value in a typical water war. As such, it is not being removed from its packaging for any further testing. Nice styling, comfortable to hold and throw. One chance to hit and device can then be picked up and used against the attacker. Limited soaking capability. Questionable aerodynamics.